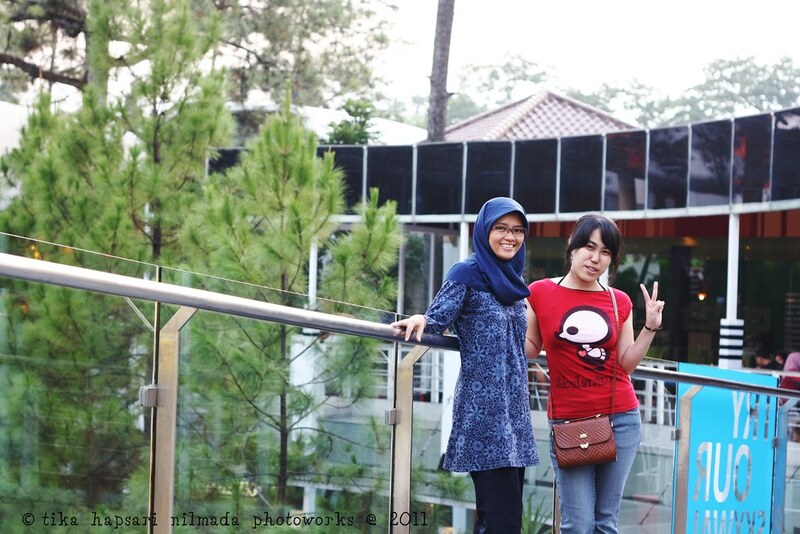 I'm very excited with Indonesian Food Party (IFP) event hosted my Tata and Momon. I think it's a good idea to preserve Indonesian culinary heritage. Proud to be one of the participant and cook something that come from our motherland. Indonesian food is rich in flavors and heavily spiced. With so many regions, cultures and influences have made great number varieties of Indonesian food. 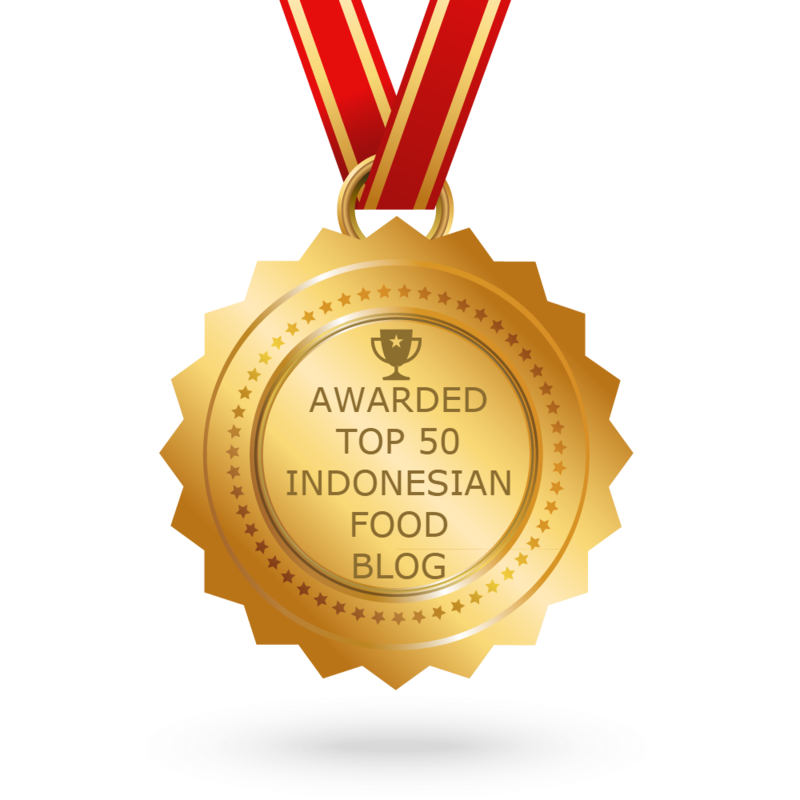 With this event I hope every Indonesian food bloggers, no matter where you are, can take part in this noble event. Cook, shoot and note. Easy, right ? Every family has their own favorite food. Something delectable, has specific taste and memorable. I love soto Kudus since I was a kid and now my son loves it too. My parents used to take their children to soto Kudus restaurant at Radio Dalam. It was long long time ago. Kudus is a small town in Central Java, Indonesia. So, soto Kudus is a Kudus style chicken soup. 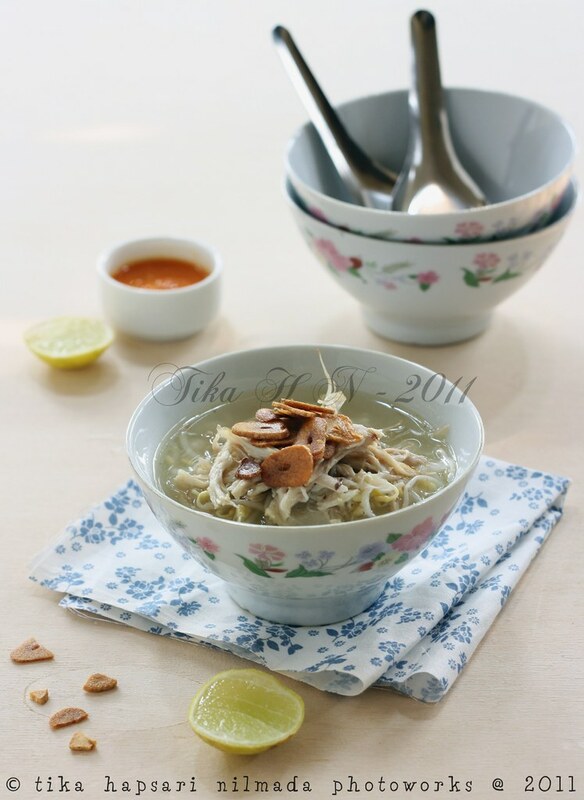 Indonesia has various types of soto. My mum cooks her own style of soto, also my grandma cooks different type with my mum's, while my mother-in-law, gosh....her soto Surabaya always make me craving for more and more. One fine day on Sunday morning, I made this especially for my hubby and my son. Not exactly the same taste as the one I used to eat at the restaurant, though. But it taste good. To all my dear Indonesian readers who read this post, I'll be grateful if you give me the recipe of Soto Kudus which has the same taste with the one at Soto Kudus Restaurant. 1. Simmer chicken in water until tender. 2. In a wok, heat cooking oil with medium heat. Stir fry the spices paste until fragrant. Add in lemongrass. 3. Pour into the chicken pot, add salt, sugar and fried garlic. Cook over medium heat until 25 minutes to let the chicken absorb the flavor. remove from the heat. 4. take the chicken out, remove the meat from its bones and thinly slice it into bite-size pieces and discard the bones. 5. 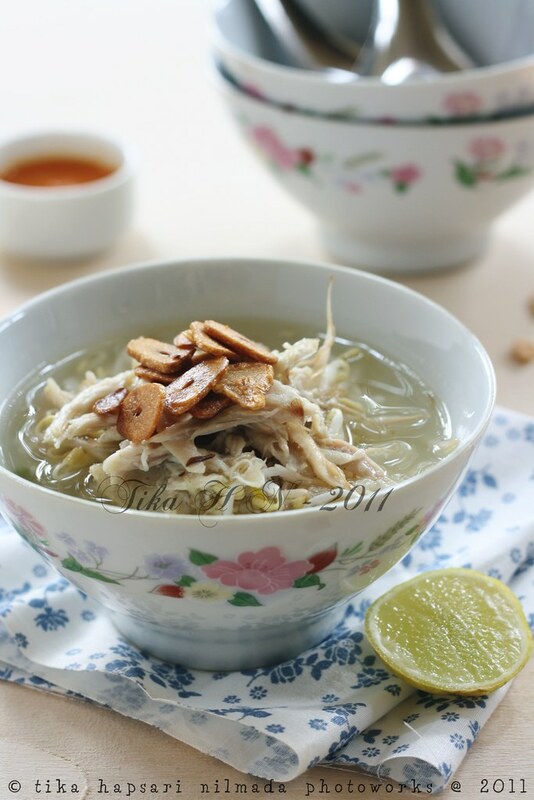 Serve the soto in a small bowl with warm rice (if you like), chicken, bean sprouts, eggs, celery then pour with hot chicken broth from soto and squeeze the lime juice. 1. What makes you feel great about yourself? 2. Who inspires you most? 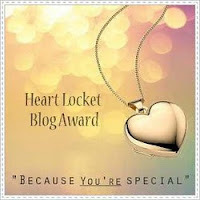 Also be more specific, which qualities inspire you, in each person? You can list as many people you like. 1. I think I'm a self-taught person and I believe the power of sharing. So I love to share what I've learn so far to anyone who want. 2. I do take good things from everyone around me. I was inspired by my mom for her generosity, my hubby for his patience, my son for his kindness, my dad for his courage and my mother-in-law for her modesty. You could use this recipe if you have leftover egg whites. Really really need extra effort to make this pudding. But hey...don't hold yourself if you want to make it. Just be patient and follow the steps carefully then you will get the perfect layers and shape. Because mine wasn't perfect after all ! 1. Use sponge finger biscuits standing them upright to cover the outer edge of the cake. Line side of a round mold (22 cm in diameter, height 6 cm) with sponge fingers. 2. Pudding 1 : melt 75 gr sugar in a sauce pan over moderate heat stir until golden brown. Add hot water and stir evenly. Add in agar-agar powder, instant coffee powder and 50 gr sugar, bring to boil. Remove from the heat. Take about 250 ml from the agar-agar mixture. Set aside. 3. Beat egg whites until stiff peaks. Pour in the lukewarm agar-agar mixture into egg whites a little at a time. Stir well after each addition. 4. Pour it into the prepared mold. Wait until the surface has set. 5. Reheat the 250 ml agar-agar mixture, stirring constantly then bring into boil. Remove from the heat. Pour over the first layer. Let it chill. 6. Pudding 2 : bring milk and agar powder on a saucepan. Stir well and bring to a gentle boil. Set aside. 7. Beat the yolks until thick. Add in peanut jam. Mix well. 8. Pour in the milk and agar mixture into the yolk mixture. Mix well. 9. Beat egg whites until foamy. Add sugar, keep beating until stiff peak form. Pour in the yolk and agar mixture a little at a time. Mix well. 10. Pour over the second layer on the mold. Spread evenly. Let it chill in the fridge before serving. 1. Tata sponge finger di sisi loyang bulat diameter 22 cm tinggi 6 cm. 2. Pudding 1 : gosongkan 175 gr gula pasir. Tambahkan air panas sambil diaduk hingga larut. Tambahkan agar-agar bubuk, kopi instan dan 50 gr gula pasir sambil diaduk hingga mendidih. Ambil 250 ml rebusan agar-agar. Sisihkan. 3. Kocok putih telur sampai mengembang. Tuang sisa rebusan agar-agar sedikit demi sedikit sambil dikocok rata. 4. Tuang ke dalam loyang yang sudah disiapkan. Biarkan hingga setengah beku. 5. Panaskan sisa rebusan agar-agar (250 ml) sambil diaduk hingga mendidih. 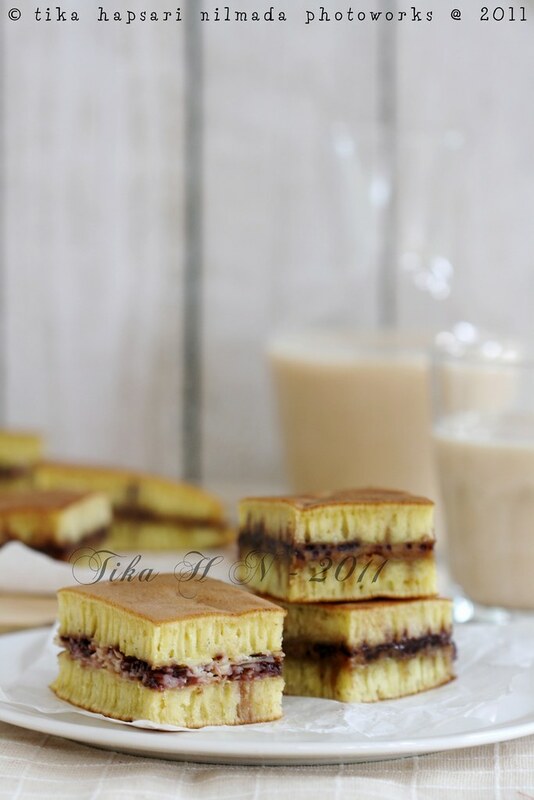 Tuang ke atas lapisan pudding pertama. Biarkan setengah beku. 6. Pudding 2 : rebus susu cair dan agar-agar sambil diaduk sampai mendidih. Sisihkan. 7. Kocok kuning telur sampai kental. Masukkan selai kacang. Kocok rata. 8. Tuang rebusan agar-agar ke dalam kocokan kuning telur sambil dikocok rata. Sisihkan. 9. Kocok putih telur sampai setengah mengembang. Tambahkan gula pasir. Kocok sampai mengembang. Tuang campuran kuning telur sedikit demi sedikit sambil dikocok sampai rata. 10. Tuang ke atas lapisan pudding di dalam cetakan sedikit demi sedikit hingga rata. Bekukan. Do you see the picture above ? It has reached more than 300 viewers and more than 30 favorites on my Flickr in less than a week since the first time I uploaded it. I didn't expect that some of the viewers love this photo. And some of my friends love the colander :D (sssttt...I bought it on ACE Hardware). 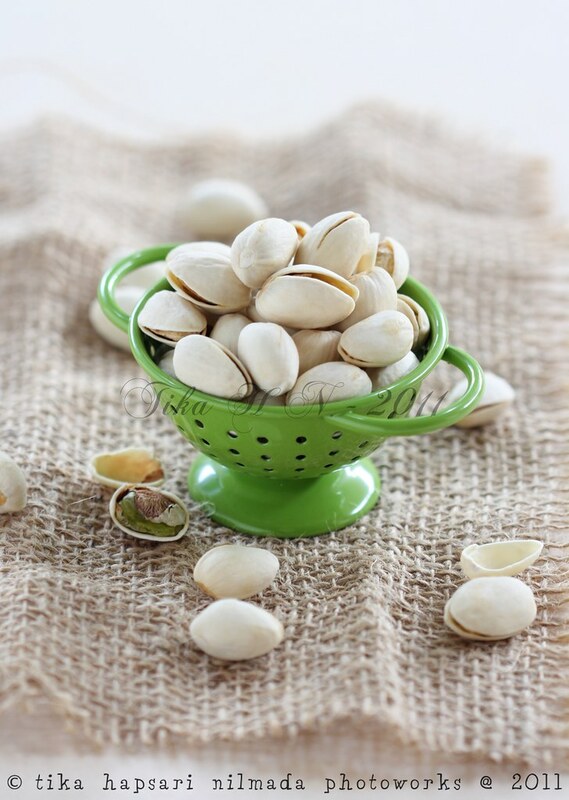 Frankly speaking, I was looking for an idea with the pistachio. Right after this photo being uploaded, Aisha Yusaf (my dear Flickr friend) offered me the recipe of biscotti. What a nice coincidence :D The following week, I insisted to make it. 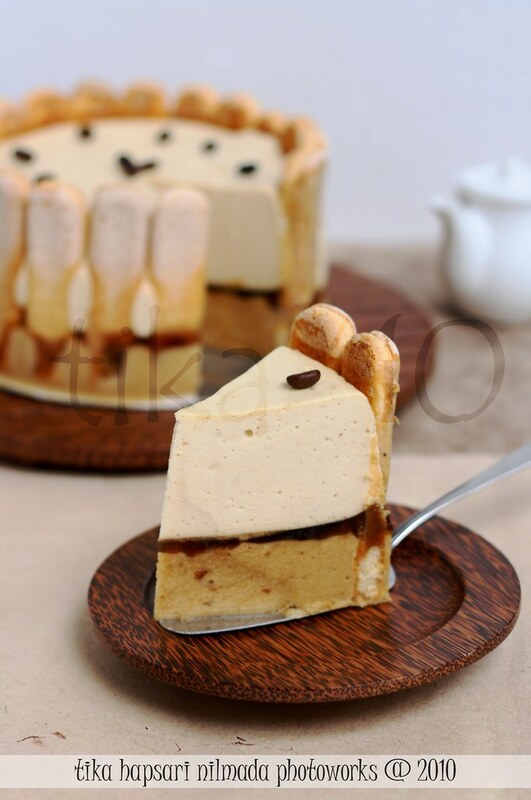 I want to serve this for tea time on the weekend. But good intention is not always enough. But my nightmare was not over yet ! I set the oven temperature too high and also forgot to line the baking tray with parchment paper. Bad..bad..bad... !! So you can see, my burnt biscottis. It tastes good though :p (Aisha ... I promise to make it again and I'll make it in a good and pretty shape ! Promise). I should tell you, "No, those aren't potato wedges !" 1. Preheat oven to 350°F/180°C/Gas Mark 4. Line a baking tray with parchment paper. 2. In a large bowl, beat the butter, sugar and lemon zest until well blended. Add the eggs, one at a time, beating well after each addition. Stir in the vanilla. 3. In a small bowl, combine the flour, baking powder, and salt. 5. On a lightly floured work surface, divide the dough in half. 6. Lightly flour each piece and shape it into a log about 1 1/2" in diameter and 9" long. Place the logs about 3" apart on the baking tray. 7. Press each log down to make it about 3/4" thick and 3" wide. 8. Bake on the middle shelf of the oven until puffed and lightly browned on top, about 25-30 minutes. 9. Remove from the oven and let them cool for 10 minutes on the tray. 11. Place the slices cut side down on the baking sheet (can be touching to fit them all on the sheet). 12. Bake on the middle shelf for about 8 minutes. 14. Immediately transfer them onto a wire rack to cool completely. 1. In a small bowl, combine the powdered sugar, lemon zest, and lemon juice and beat until smooth. 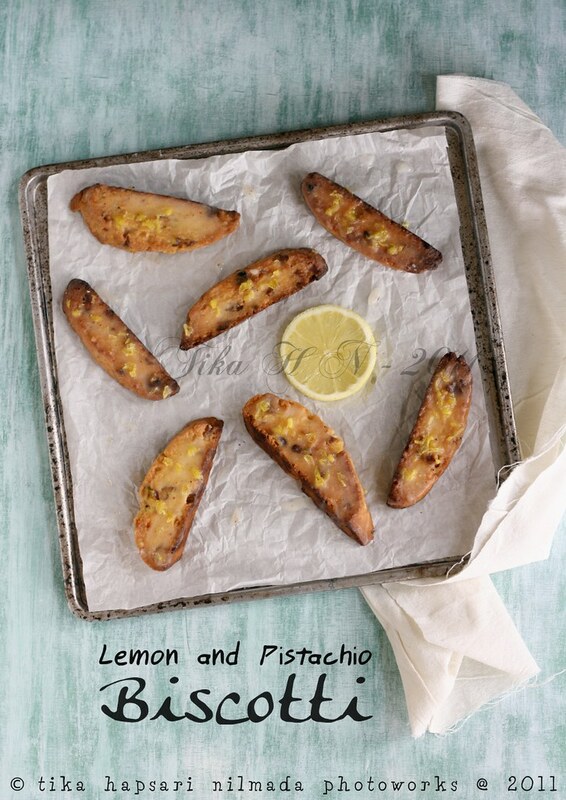 Beat in additional drops of lemon juice if necessary to make an icing that will coat the biscotti lightly. 3. Place on a wire rack icing facing up until the icing sets.